Auburn – The Placer County Food Bank and Sutter Auburn Faith Hospital are giving thousands a lot to be thankful for this year. Sutter Auburn Faith Hospital employees drops off turkeys at Roseville Toyota. 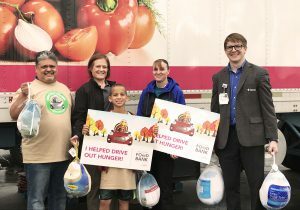 For the second year in a row, the Placer Food Bank hosted the Drive Out Hunger Turkey Drive, hoping to gather 5,000 turkeys for families in El Dorado, Nevada and Placer counties in time for Thanksgiving. Auburn – The loss of a loved one can be difficult, especially during the holiday season. Sutter Auburn Faith Hospice understands the importance of honoring those who have passed by hosting an annual Light Up a Life celebration. This special evening of remembrance is for anyone who has experienced the loss of a loved one. Join us for an evening that will include a message from Mark Knoble, M.D. Sutter Auburn Faith Hospice medical director, live music, light refreshments and a lighting celebration. At the event, families can create a personal luminaria to honor a loved one. Doni Kay, spiritual counselor and Paws on Call, Sutter Auburn Faith Hospital’s therapy dogs will also be present to greet attendees. 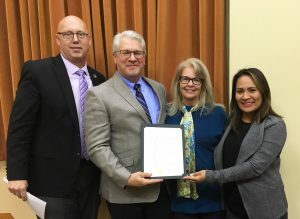 Auburn – Auburn Mayor Matthew Spokely presented a proclamation to Sutter Auburn Faith Hospital’s Mark Knoble, M.D., medical director, Jacklyn Whitson, R.N., Hospice clinical supervisor and Patricia Mandrup, clinical manager at the Oct. 23 city council meeting. The proclamation recognizes November as National Hospice and Palliative Care Month, encouraging citizens to understand and become aware of the services and programs available at the end of life. Jackson – Sutter Amador Hospital was recognized by CALNOC, the Collaborative Alliance for Nursing Outcomes, for performance excellence in preventing fall injuries. 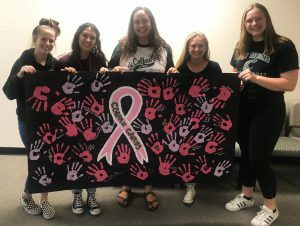 Auburn – While developing breast cancer as a teenager is rare, students at Colfax High School in Placer County wanted to do something significant to support those in the community with breast cancer. Elle Lippold, a junior at Colfax High School, said the students wanted patients to know that they were thinking of them and sending support during National Breast Cancer Awareness Month. Students from Colfax High School in Placer County.